On the eve of the resumption of strike action over changes to USS members are urged to maintain the pressure on employers to deliver a solution to the dispute. 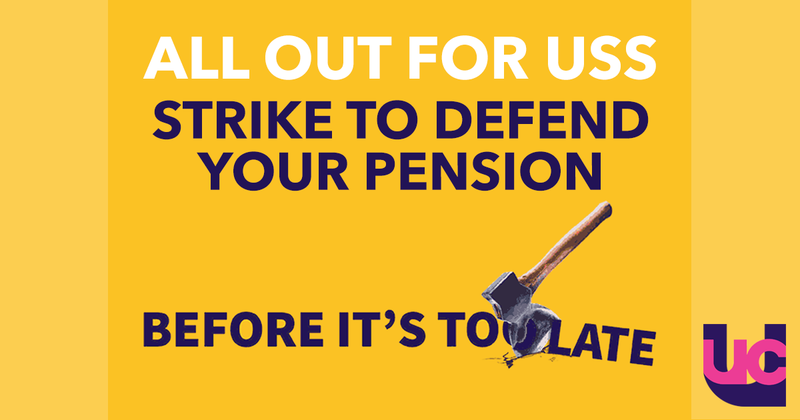 UCU general secretary Sally Hunt says, 'I am writing to remind you that the strike resumes tomorrow, Monday 5 March. 'In this dispute we have already seen how your support for the union has persuaded the employers to talk about your concerns. 'Now we must persuade them to deliver a solution. 'UCU will be working hard to resolve the dispute but the stronger the action this week the more likely we are to be successful.